Powder air entrainer and plasticiser for dry mortar. Dosage: 0.1-0.5% over cement weight. To improve the workability and trowelling properties of fresh sand, cement mortars and concrete and to increase the frost resistance of the same. Of particular application in retarded mortars and where air stability over extended periods is required. 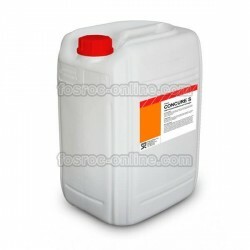 Also suitable for use in concrete as a normal air entraining admixture. Suitable for use with coloured mortars. produced are particularly stable, improving mortar quality. Cebex 120 complies with the requirements of BS 4887 Part 1 : Mortar air entraining ( plasticising) admixture. BS 5075 Part 2 : Air entraining admixtures BRE Digest 160. Compatibility with other admixtures : Cebex 120 is generally compatible with other Fosroc admixtures in the same mortar or concrete mix. All admixtures should be added to the mix separately and must not be mixed together prior to addition. Compatibility with cements : Cebex 120 can be used with all types of ordinary portland cements, supersulphated cements or blast furnace cements. 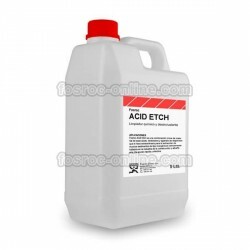 It is also suitable for use in mixes containing Pfa but in this case the dosage required may be higher and a higher loss of air on standing may occur than with other cements. Contact Fosroc for further advise. The optimum dosage of Cebex 120 for a particular mix must be determined by site trials using the intended materials, as a number of factors will affect the air entrainment obtained. Detailed information on trial procedures and the typical effects of changes in mortar or concrete mix designs can be obtained from Fosroc. Typical dosages to produce an air content of approximately 10% in a sand cement mortar will usually be in the range of 0.10 to 0.30kg /100 kg of cement. In mortars containing lime, the normal dosage range will be increased, typically 0.2 kg to 0.6 kg /100 kg and the dosage should be calculated on the total of the cement and lime in the mix. Where used in concrete typical dosages to produce an air content of 5% will usually be in the range of 0.05 to 0.1 kg / 100 kg of cement. Dosages outside the ranges quoted may be used if necessary and suitable to meet particular mix requirements, provided that adequate supervision is available, compliance with requirements must be assessed through trial mixes. Once a dosage rate has been selected, care should be taken to ensure consistency of materials used and mixing and delivery procedures. Air content should be checked regularly. An overdose of double the required amount of Cebex 120 will increase the air entrainment obtained. This will tend to increase workability and reduce compressive strength. Cebex 120 can be removed using water. 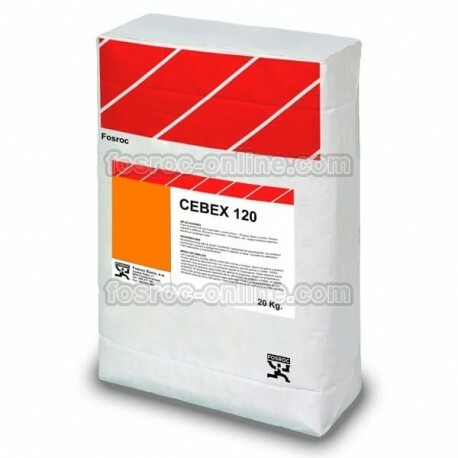 Cebex 120 is available in 25 kg bags. Minimum shelf life of 12 months provided the temperature has not exceeded 50ºC to 45ºC. If this range is exceeded in any respect, advice should be sought from the supplier. Cebex 120 is non-hazardous. However contact from skin and eyes should be prohibited. Protective gloves and goggles should be worn. Dust masks should be worn to avoid irritation to lungs and respiratory system.